Sure enough, the data held some interesting nuggets. Here is a Washington Post - CBS Poll on December 14th 2015 showing 59% of Republican voters supporting a ban on Muslims entering the US. 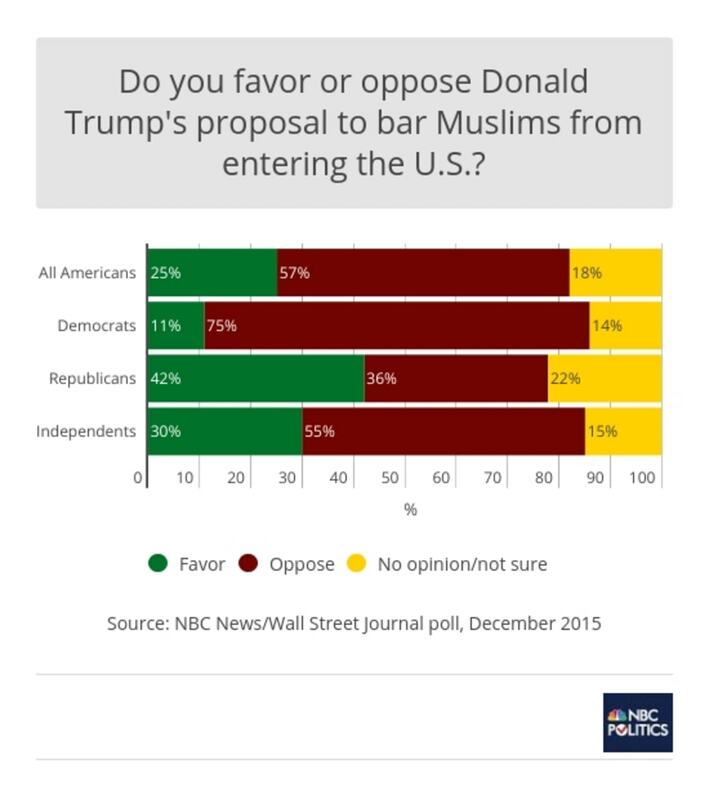 Here is an NBC/WSJ Poll on December 10 2015 showing 42% of Republicans supporting a ban on Muslims entering the US. If you follow support Trump's polling numbers across various polling firms, you will realize that Trump's ceiling for support is about ~20-30% among Republicans. A Monmouth University Polling gave a 41% share to Trump, a new high for the candidate AFTER he called for the ban on Muslims entering the US . So, if a higher share of Republicans want to ban Muslims from entering the US than those who support Trump, then why condemn Trump? Isn't he only saying what his voter base wants to hear?